Whether you’re getting on a board for the first time or you’re a seasoned rider searching for L.A.’s best breaks, there’s something for everyone. Beginners can learn how to surf with mellow, consistent waves, while experts can head toward the big stuff. 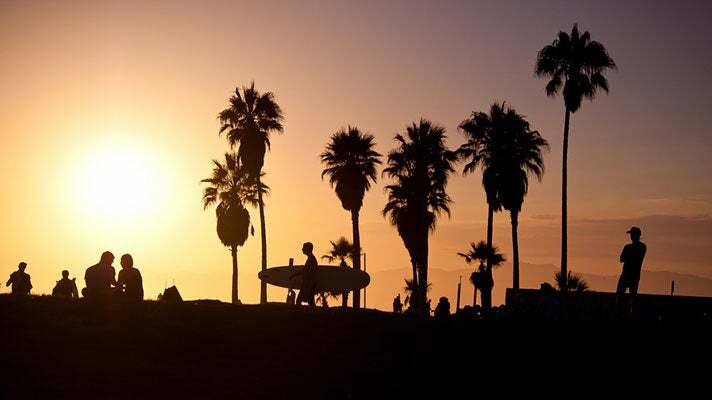 No matter what level you’re at, you’ll want to check out these legendary L.A. surfing spots and dive into surf culture USA. 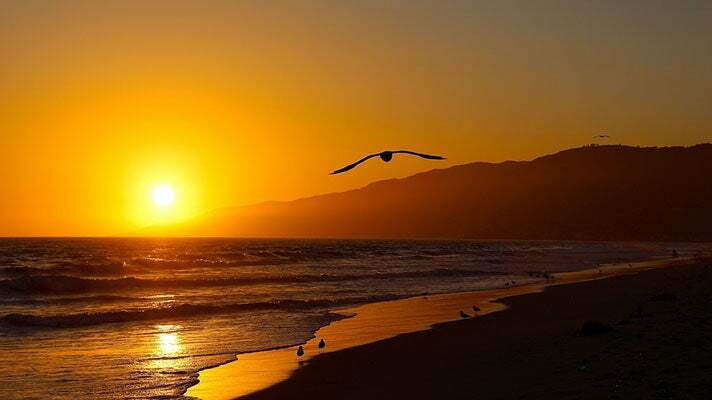 Zuma Beach sits at the northern end of Malibu and stretches nearly two miles. Expect clear waters, significant waves and a local crowd. 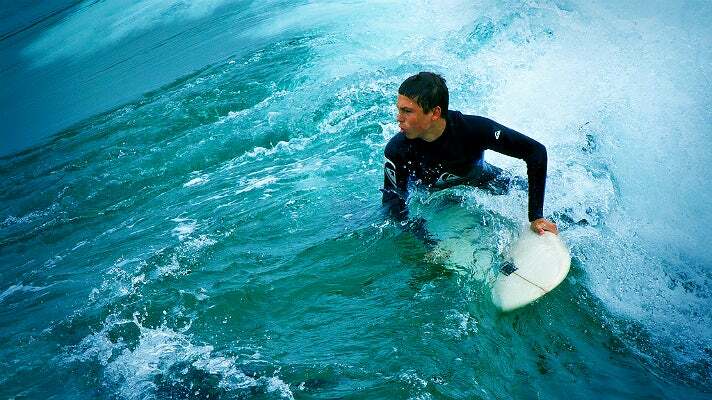 How can anyone talk about surfing in L.A. without talking about Malibu? The iconic Surfrider Beach is practically where L.A. surfing culture was born. Think long, lazy point breaks and ideal winds. It’s the beach for those who say they’re surfers, and want to prove it. Make these waves and you’ve made a point that you’re a pro. For adventurous novices, the swells at Topanga Beach are a little easier to drop into and perfect for the beginner’s longboard. The only catch: conditions are so ideal you might have to compete with plenty of good surfers for waves. The crowd here is known to be a little quirky, but on the other hand, the waves at Venice Beach offer mellow rides that are perfect for beginners. Plus, there’s no better place to relax after surfing than Venice’s famous boardwalk. One of the best beaches for winter riding, Manhattan Beach takes the cake for large surfs (and waves with fast closeouts). Expect big waves and ideal opportunities to practice your aerials. 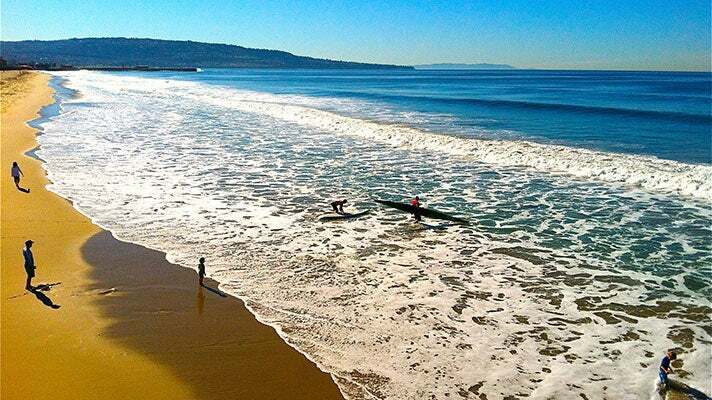 One of L.A.’s hippest beaches, Hermosa Beach boasts some of the area's best waves, though at times the water can be colder than you’d expect for California weather (consider a wetsuit). The break is best during low tide and during the fall and winter.